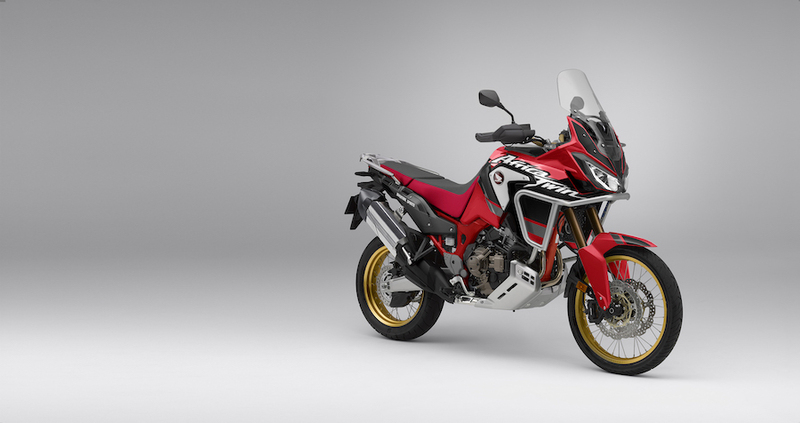 Honda’s CRF1000 Africa Twin will evolve into an 1100cc twin for 2020, realigning the model that was the second-biggest seller in the Australian Adventurer Touring segment last year. According to AMCN sources in Japan, the next-generation Africa Twin will have its capacity punched out from 998cc to 1080cc for a gain of 4kW. That doesn’t sound like a big deal, but it needs to be seen in the context of the new 2020 Euro 5 emissions rules. These crank a couple more turns into the emissions thumbscrews, and by upping an engine’s capacity Honda will be able to offset any power losses that the new legal restrictions bring. The adventure bike market has evolved since the Africa Twin first went on sale in 2016. Back then, the Honda’s combination of 71kW and a 232kg kerb weight meant it slipped into a slot between machines like BMW’s heavier, 93kW R 1200 GS and the smaller F 800 GS with 63kW. Only the short-lived KTM 1050 Adventure was directly comparable to the Honda in terms of power, size and weight. Now it’s an adventure world of power and torque. The R 1250 GS has stretched its power lead to 100kW, along with a massive torque boost from its ShiftCam engine, and the all-new F 850 GS matches the Africa Twin’s output while undercutting its weight. What’s more, newcomers like KTM’s 790 Adventure (also 71kW but far lighter than the Africa Twin) are further encroaching onto the Honda’s patch, as is Triumph’s updated Tiger 800. 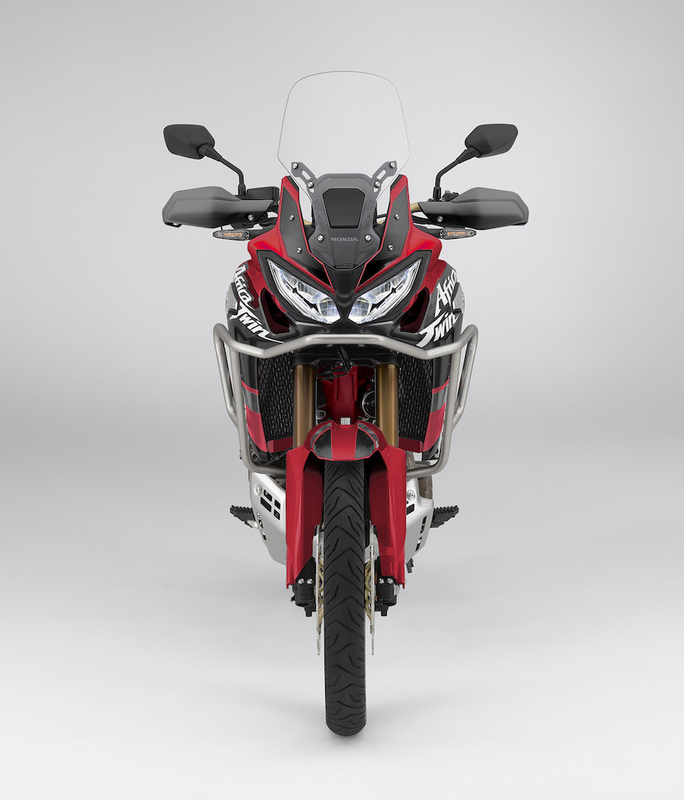 By stretching up towards the 1100cc mark – and no doubt adopting the CRF1100L title in the process – the rumoured revamp will help push the Africa Twin back into the middle ground between big adventure bikes and the growing class of middleweight dual-sports. Don’t expect an all-new Africa Twin. Our information suggests it will be based on the current model and chassis, including side-mounted radiators to keep the wheelbase short. Our CG image – created by Japanese magazine AutoBy – shows a revised nose and headlights, along with tweaks to the plastic parts. There’s talk that the DCT (dual-clutch transmission) – a key selling point that the Africa Twin’s rivals can’t lay claim to – is to be improved. Also expect the fuel capacity will be increased from 18.8 litres to around 20 litres. The wider Adventure Sport version, which already has a 24.2 litre tank, is expected to remain in the range, but also to get the upsized engine. We’re told the instrument panel will be a larger screen with a full-colour TFT display. Honda has already tweaked the Africa Twin’s dash once, revising it for the 2018 model year, but it’s a fast-moving area of development in motorcycling. Also expect keyless ignition.